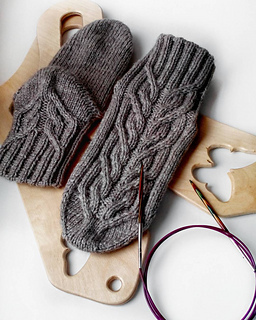 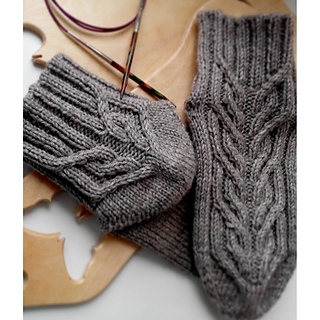 These socks are worked from the toe up on circular needles. 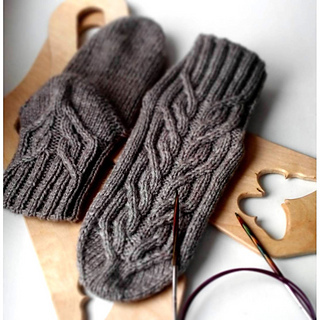 Right and left socks are identical and can be worked two-at-time. 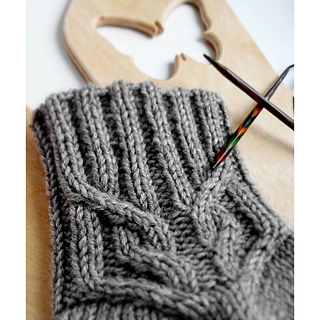 Upon completion of the toe, you will have 54stitches. 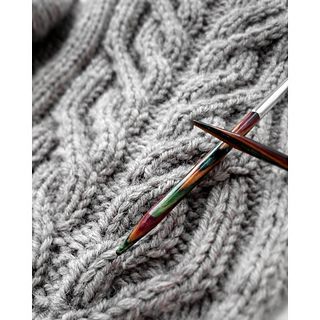 Needles: 3.5 mm/US 4 circular needle, 40 cm/16” long for small size; 3.75 mm/US 5 - for Medium size; 4 mm/US 6 - for Large size.